Julius Malema is a polarising man and though many mock him for various reasons I’ve heard him say sensible things on a number of occasions. 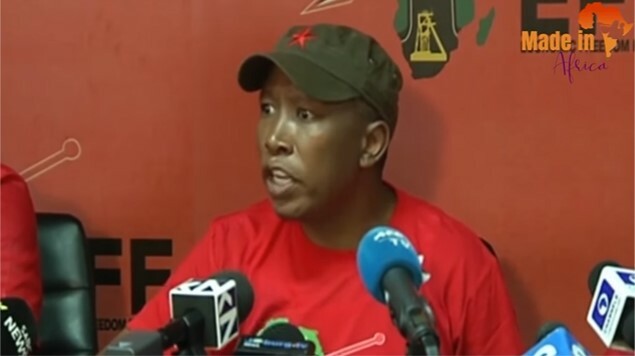 Yesterday the leader of the Economic Freedom Fighters hosted the Party’s first media briefing of the year and Malema did not hold back on his thoughts concerning the government imposed internet shutdown last week. The whole video is quite interesting and hearing his thoughts outside the internet ban speaks to how Malema is not necessarily the fool or radical man that he is portrayed to be. Malema is not the only one to call out the government for this move over the past few days as LSSA (Law Society of South Africa) also put out a statement condemning the governments actions. MISA Zimbabwe along with Zimbabwe Lawyers for Human Rights took it a step further and took the government to the High Court which finally led to the government loosening their shackles on social media which remained banned after the internet had been restored. Don’t let him fool you…. I don’t believe a word he says. You leave a lot to be desired, what did he say that’s not true there. You must be a goon. Yeah right…I don’t believe a word YOU write!! There are some basic common sense stuff that came out of Malema – if the govt of Zimbabwe wants support for its economic programmes, the price is simply to eliminate, tyranny, increase the democratic space, allow non-partisan law enforcement – exactly the things Zidera states and also align laws of the country to the Constitution of the same country. How much does this cost ? In dollars – nothing. Any delays by the govt means they are HAPPY for Zidera to remain in place longer for their own nefarious reasons. This is what the Au & Sadc shld be doing but they are all too quiet.